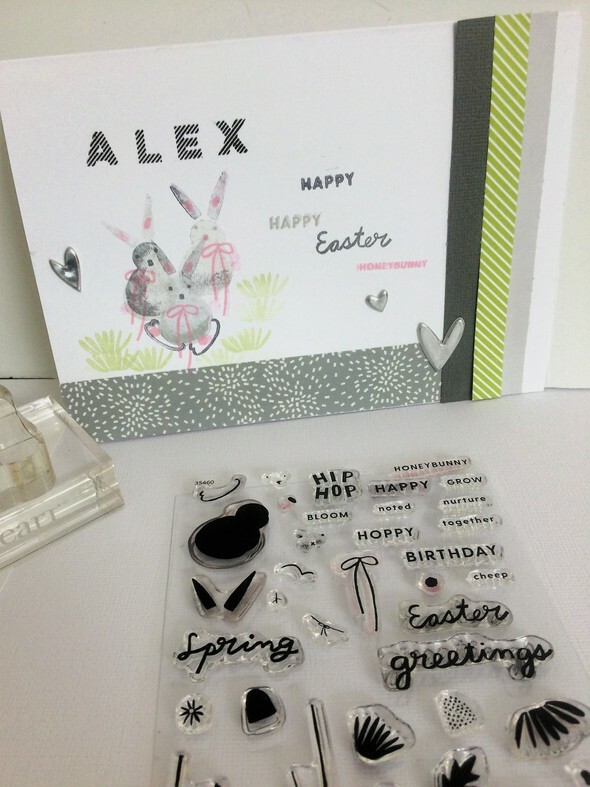 I stamped three whimsical bunnies on this card I created as well as the whimsical sentiment #honeybunny. 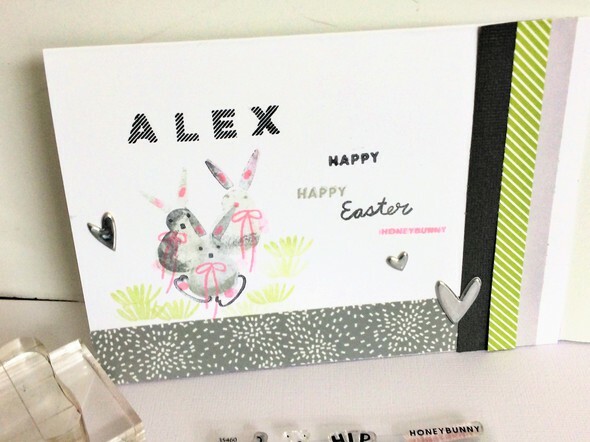 I used three different shades of gray and used generational stamping to give my bunnies dimension. I gave them all pink ribbons and tails as well.